Having troubles figuring out what fun stuff to do as a family? Coca-Cola wants to help you out with Coca-Cola Family Night through My Coke Rewards. Log on or sign up free to find out their newest snack recipes courtesy of Celebrity Chef G. Garvin, tips on at-home activities or the latest in gaming features from Sony! Family night is important to me because with my schedule is getting busier and busier, the time I get to spend with family gets cut down more and more. So, every little second counts! When we were little, my family would play board games together every so often and had family vacations once a year. We drove pretty much everywhere on every single one and those games always came with us. It was always an adventure! Now that, we're all grown up, its harder to coordinate schedules. However, I am really happy that I was able to have a short trip home and spend some much needed time with family and friends. We would go out for dinner and then take my dog for a walk. Simple, but nice. Puts a smile on my face when I think about it. What does your family do when you spend time together? To give you a little something more for your family night, Coca-Cola is offering a Game Board Prize Pack ($100) to one of Whirlwind of Surprises' readers. Its amazing! The lucky winner will receive 1 $25US AMEX Card to pick up all the snacks and supplies you'll need, 1 Coca-Cola coupon, 1 Yahtzee Board Game, 1 Monopoly Board Game, 1 Coca-Cola Polar Bear Puzzle, 1 Checkers Mat, 1 Set of playing cards. Yes, ALL coke-themed! Trust me, I'm drooling over this kit. Enter soon as part of the Rafflecopter Round-Up Event! In the meantime, check out the great ideas to help plan your Coke Family Night. Disclaimer: The product/s mentioned above have been provided by Coca-Cola for the purposes of this post. No other form of compensation was received. The prize was provided by the Coca-Cola Company but The Coca-Cola Company is not a sponsor, administrator, or involved in any other way with this giveaway. All opinions expressed in the post are my own and not those of The Coca-Cola Company. Please view my full disclosure. so confused if u click on the coke link it says not found and when a click just coke I get here with no form? Is this contest open? This is just the review post. The giveaway goes live tomorrow as part of the Rafflecopter Round Up Event. :) Good luck! I was quite loyal to Coke vs Pepsi back when I used to drink pop. I'd still drink it if it had real sugar in it ! Very nice prizes...thanks for the chance. my family loves games nights - we are so competitive - in a good way - and its great to all play together! I love playing board games. My whole family loves it. I also like using the mycokerewards program. This is such an awesome pack. My family would love it! we love coke(diet coke for me)! we have game night every week and always have coke products to drink. I am a lover of Diet Coke! Mycokerewards is an awesome program! Thank you Coca-Cola!! what a great prize pack!!! I love Coke! Great items!! OMG I love it! i need to build my games for family game night! We have family game night also. It helps keep us connected with each other! I love Coke products! WE collect all kinds of games so this is awesome. Coca cola products get me all nostalgic! Great game! Love Coke products. These games look like the makings of a fun family night. Thanks! Well I have been trying to enter as you know way to early because I collect coke memorbilia and this is awesome! So i still don't see a rafflecopter form so just commenting, thank you! My brother collects coca cola. He would so LOVE all of this. I love coca cola products! My dad, whose sports mentor and team sponsor owned the Coca Cola bottling plant in their small Louisiana town, used to tell us to drink Coco Cola, because everything else would rot our guts! This is a nice collection of items from Coca-Cola. Thanks for the giveaway. I only drink coke myself, and my family loves playing games together. Out of all the giveaways I am entering, this is the one I absolutely want to win the most! My family loves to have family game night as a way to catch up on everything we've done during our busy weeks! It keeps us close as a family, and I hope that my children keep this tradition going when they raise their own families! Thank you for this opportunity! I prefer root beer but if I do drink cola, I MUCH prefer Coke. I hate Pepsi. I love the Coke with Lime but I haven't seen that around anymore. Yum! Great prize pack - thanks! Great pack for our family night! Family Night is an important part of family life. Playing board games and sharing fun snacks and Coke is a good thing. I'm a huge Coca-Cola fan.... I've been a collector for about 10 years now!!! Family game nights are the best!! :) How fun! Diet Coke fan here! We love coke so much. We even painted our kids playroom in a coke theme. This is such a great prize. When we have family night, which doesn't happen enough these days, we also play games. 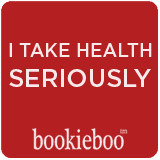 Cranium and scattergories are 2 of our favorites :) Great giveaway! I love Coca-Cola and board games. I have a pretty decent collection and am always trying to add to it. There are so many fun ones out there and they keep coming out with new ones. In my family, we spend time together doing simple stuff like chatting, going for a walk, and eating meals. LOVE Coca-Cola! Also Love the Rewards program they have! This is a super prize pack. This looks like hours and hours of fun! Coke was already one of my favorite companies (Hello, my name is Sherri and I am a diet coke and coke zero addict), but this makes me like them even more! What a great prize package!! Thank you. This Coke Family Night package looks awesome! 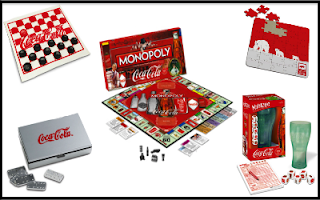 I am very curious about what a Coke-themed Monopoly board would have on it! My family loves to play games - this looks amazing! My daughters both love Coke, this would be a perfect Christmas gift for them! Thank you for the giveaway! My family loves Monopoly. We just bought Monopoly City last weekend. Have you played it? It's different than the original Monopoly! I'd love to win Monopoly Coke! Classic games are always fun for the family! I would love this. We play a lot of games in our family, plus we just love Coke! Coke is the only thing we drink in this house! I used to love Pepsi, but Diet Coke is where it is! love love love coca cola! This is a great prize pack, I love board games. Thanks! I have been trying to initiate a family games night at our house and this would be a great way to get it started! We love Coke at my house. We always have to have it in supply! we are a game loving family so his would be great to win! Love coke and game nights! Hope to win! This is a great prize, whats not to like about the best soda, coke, and board games? We love game nights and movie nights around here, and Coke (especially Coke Zero, a family favorite) always plays a big part in our parties. Thanks for the chance to enter! This is pretty cool! Thanks for the giveaway! Coca Cola is an ultimate American invention and tradition. I love it and I love all their vintage advertising. What a fun prize pack- some of our favorite games and Dawn collects the Coca Cola bears so the puzzle will be a blast for her. We are a Coke family. My husbands grandaddy use to work there way back when. Nice way for the family to enjoy a weekend .. and love Diet Coke. Thanks! I am a coca cola addict! I would love to have these coke themed games. Love the coke cola glasses! Such a cute giveaway! Love the prizes :) Thanks! I love the Coca Cola brand, it's such an icon! regular coke all the way! This looks great! I wish I had these items. Coke always has cool stuff. I love them, I have a lot of collectibles from them. Hi! I love games and this package sounds awesome. I love Coke and these games are so neat. Coke is already my favorite! I am a diet coke addict for sure! I love it. and I love this Giveaway, Thank You for giving the Chance to win it! This is a really sweet set of games. Not sure if I want them just to display or to really play. I love coke. This is an awesome prize pack. I love Coca-Cola! Looks so much fun! Nothing beats a cold frosty Coke. wow, who knew Coke made all these games with their Brand name! These are great items. I'd love to win! I love the puzzle! We love doing puzzles as a family, although I am the least patient at puzzle making. That looks like so much fun! What a great way to tie in two amazing classics! We luv our family game night...who knew Coke had so many fun games. When I was little we played alot of board games. It is hard sometimes to get my child to sit long enough to play games. This is a great giveaway. I love Coke too! This would be a great way to start family fun night at our house! What a great assortment of family fun! Thanks Coke! This prize pack looks very fun! That is so cute! I didn't even know they make a Coke themed Monopoly.